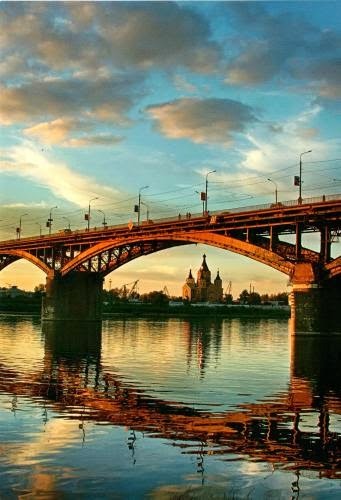 Postcard RU-2493226 from Russia shows a magnificent cityscape of Nizhny Novgorod. Also known as Nizhny for short, it is the fifth largest city in Russia with a population of more than 1.3 millions as of 2003. From 1932 to 1990, the city was known as Gorky (高尔基城), named after the famous writer Maxim Gorky who was born there. As the administrative center of Nizhny Novgorod Oblast, the city is an important economic, transportation and cultural center for the vast Volga-Vyatka economic region in Russia.